ist nein easy over here. Comforts from back home are not available here. He is going to learn to tamper his excitement level. The EPL is unforgiving as there are easy games. So far no continuous calls against him but once they start rolling him his ticker is going to be in for a rough ride . Interesting attire...inspired by? Barely a tooth mark in the curriculum #hasalottolearn. Yes o, Willkommen in der besten Liga in tfco's head. Never heard of the Bundesliga or La Liga where true tactical masterminds like Thomas Tuchel or genius players like Messi and C. Ron. operate. ^Thomas was opened up like a packet of crisps or rather a blood spot above Shane Moseley's left eye by Mayweather's snappy right, by Bayern...who would later be reminded what competitive football looks like at Ashburton. Bosh. 3 games in and he claims his 1st scalp. Ghana man speaking German with twi accent. The Brits are not impressed. In your opinion, the Somali steward is not a Brit? Remembrance Sunday, memorial to those fallen during the Great War, won, might one add. 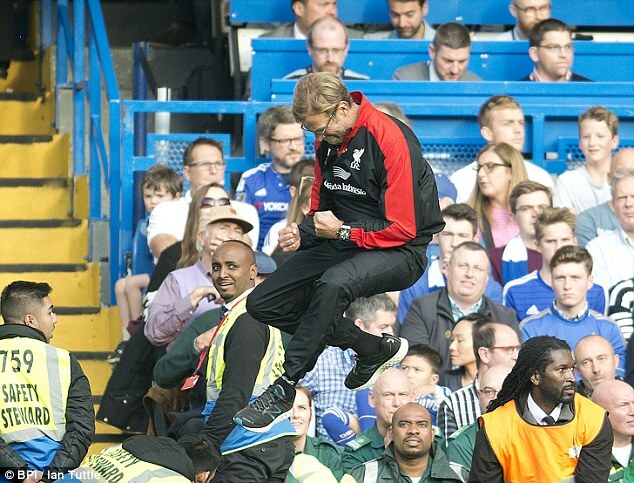 A Sunday Klopp will never forget. First true English opponent, first clobbering. Pardew of Palace says "hi"
^Pellers, formerly of...Meanwhile, Pardew, with a fraction of the artillery...Bosh! At least you give credit where credit is due. ^ stats from the Crappasliga. First Pardew now Steve. Jurgen must be looking forward to facing another Johnny Foreigner in the dugout. Englishman blasts Kraut out off the atlas...heard that one before Jurgen? Reminiscent of those tales told in childhood about the RAF flattening the Luftwaffle! Dean of coaches? More like failing student of the English game. D minus!